So, you’re exploring Tokyo on a humid summer day, but looking for a way to do it without the crowded streets, packed trains and sweaty bodies. Now, picture yourself enjoying sashimi and tempura while downing a few cold beers. Oh, and you’re barefoot, too. On a boat. In the middle of Tokyo Bay. Welcome to yakatabune (houseboat) cruising, one of the highlights of summer. If you’re new to these all-you-can-eat, all-you-can-drink waterway cruises, this guide has everything you need to book the best tour for you based on location, price, group type, season and more. Best described as a floating restaurant with an incredible view, yakatabune are traditional Japanese boats outfitted with tatami (flooring made of rice straw) and low tables fit into recessed seating, creating a specially designed space carved out of the flooring for your bare feet to dangle. As with traditional Japanese restaurants featuring a tatami area, you will be barefoot as you enjoy your meal and relax. The boats originated in the Heian period (794-1185) and offer the experience of having washoku, or Japanese cuisine, while taking in the sights of Japan’s capital from a distinct vantage point. In fact, it was in the Edo period (1603-1868) and with the construction of the canals that these boats began to be used for more leisurely activities such as cherry blossom viewing and watching fireworks. Yakatabune are quite versatile and can be enjoyed all year round, day or night, and many boats are equipped with both heating and air conditioning. In addition, they can accommodate small or large groups and even host events such as wedding receptions. A cruise near Rainbow Bridge, Odaiba. 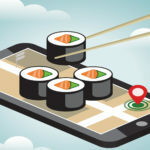 There are nearly 40 companies that service yakatabune in Tokyo and the cruises differ slightly in terms of service, fares, boat facilities, cruise routes and menus. The main difference is the size and boarding locations. 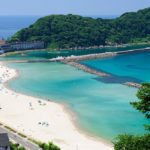 Choose from shared (kyokudo or noriai) or chartered (kashikiri) cruise options. The concept of shared cruises is just like boarding public transportation or eating at a restaurant, where you pay for your seats and eat at your table. A large group cruise could have as many as 120 people, while chartered cruises can be booked for groups of 15 to 20 people, depending on the day. The boats have temperature control, toilets and an observation deck. Karaoke service, if you fancy, is normally reserved for chartered cruises. The menu includes a selection of nomihodai (all-you-can-drink) alcoholic and non-alcoholic beverages, as well as freshly made tempura and even sashimi prepared from fish directly from one of the famous markets Tsukiji Fish Market. A daytime cruise with lunch costs around ¥5,000, while dinner cruises start at ¥10,000. Each cruise site offers different types of views. For example, if you’re able to depart from a location on the Kyu-Edogawa River, you can check out the view of Tokyo Disney Resort and Tokyo Sea Life Park. 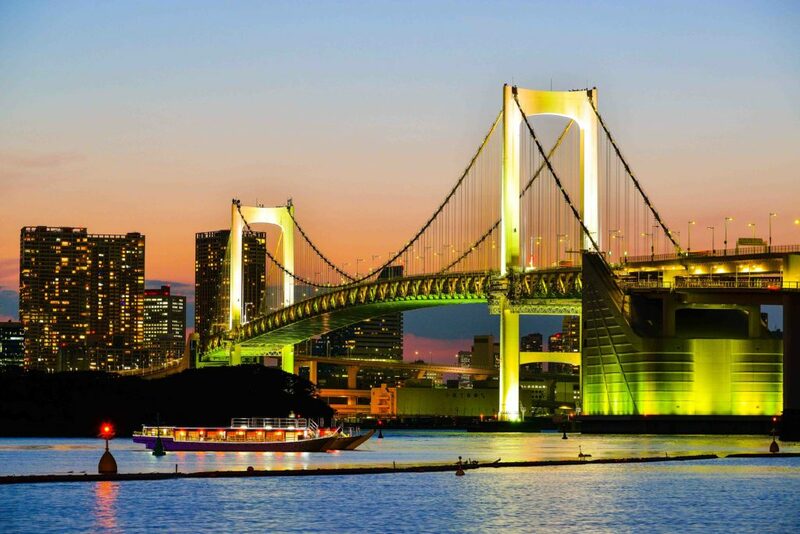 Odaiba course: Heading under Rainbow Bridge and straight to Tokyo Bay, you’ll be able to catch the neon lights of the iconic Fuji TV building and Odaiba’s giant ferris wheel. Tokyo Skytree course: Floating along the historic Sumida River, you’ll be able to snap a selfie with the towering Skytree. Tokyo Skytree and Odaiba course: Explore Tokyo old and new as you take in the sights of shitamachi, the downtown, old-school area of Tokyo, and its modern architectural feats. Maihama course: Ride along the Kyu-Edogawa River past Tokyo Sea Life Park and Tokyo Disney Resorts. As a bonus, you may see Tokyo Disneyland’s nightly fireworks display on your return trip. After your meal is finished and when the boat docks, it’s time to head to the observation deck and take photos. Keep in mind that access to the observation deck may be restricted due to inclement weather. 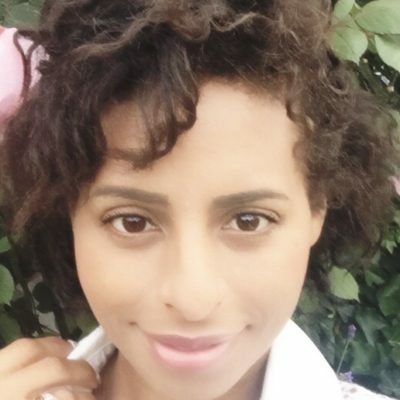 Spring and summer are peak times. Popular times for the cruises correlate with Japanese seasonal pastimes. 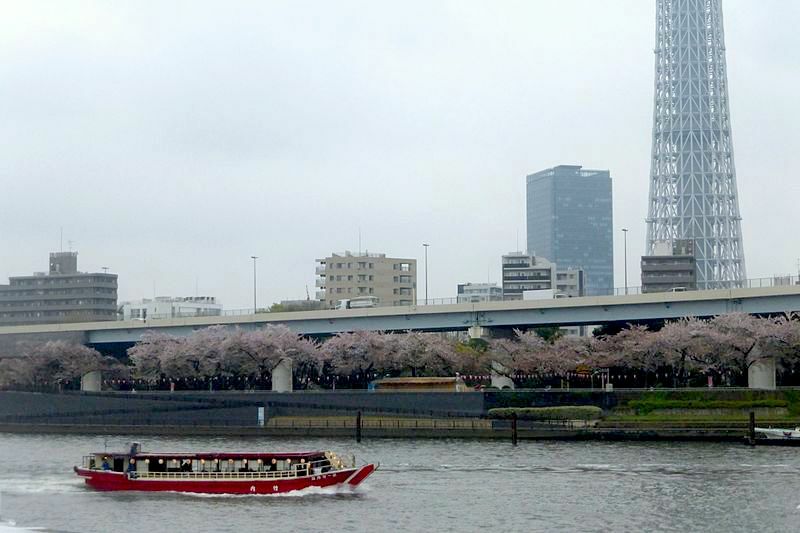 Especially in late March and early April, visitors can experience hanami (cherry blossom viewing) from the boat, which allows for a rare, up-close look at the cherry blossom trees along the river. 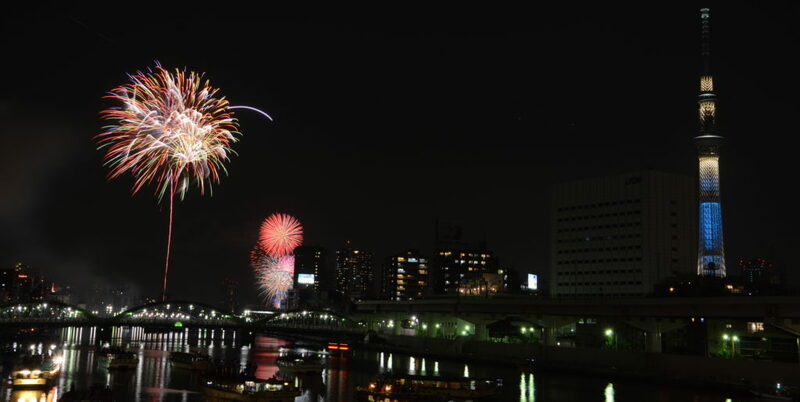 In summer, locals and tourists alike enjoy hanabi taikai (fireworks festivals) from the view on the water. 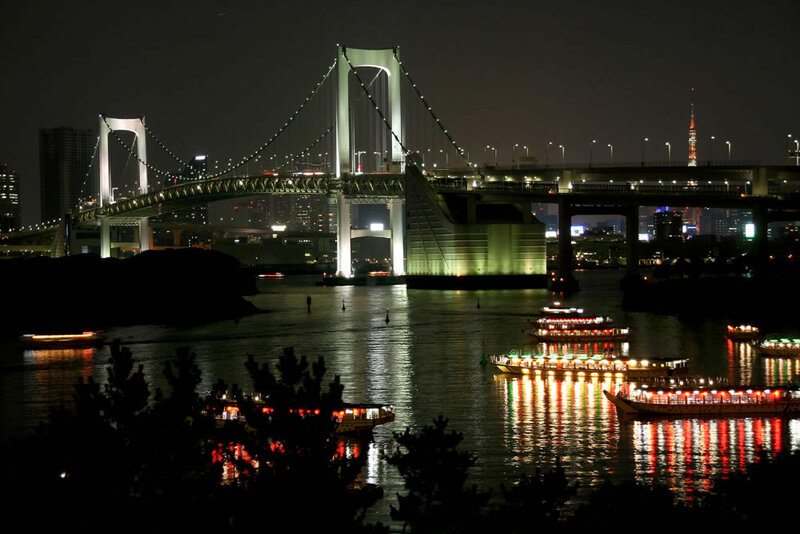 Some of the most popular fireworks viewing courses are for the Sumida River fireworks festival and the Edogawa fireworks festival in eastern Tokyo. Beware that reservations fill up quickly, and it can often be more pricey — two to three times the regular price. However, the view of the fireworks and cherry blossoms from a yakatabune make for memorable photos. 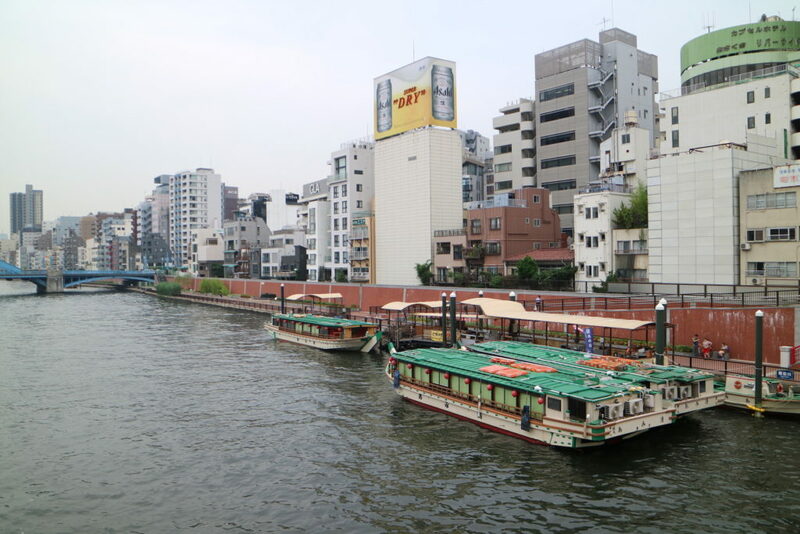 Asakusa: Shared cruises typically board in the evening in the Asakusa area, so spend the afternoon sightseeing and with a lunch of okonomiyaki (savory pancake) before boarding. Odiaba/Asakusa: Small groups of two or more people can reserve seats on Amitatsu’s “Odaiba and Skytree” course. In addition, boarding is possible from one of six locations in Tokyo. Ninja Cruise: For something fun and quirky, consider the 2.5-hour Tokyo Bay Ninja Cruise, which can be booked through the Tokyo Yakatabune Association. Great for families with older children and groups seeking to get their fix of Japanese culture and sightseeing. Historical: History buffs can book one of the four chartered History of Edo cruise tours, which take passengers through the Kanda River to see Nihonbashi and Edo Castle around Odaiba, or up close and personal with airplanes taking off and landing at Haneda Airport. These tours depart from Nihonbashi Pier, and do not include food and drink. Lunch: Typically chartered, lunch cruises are a perfect outing for a time-restrained tour group, students celebrating the end of an academic period, and family members and friends celebrating a life milestone. 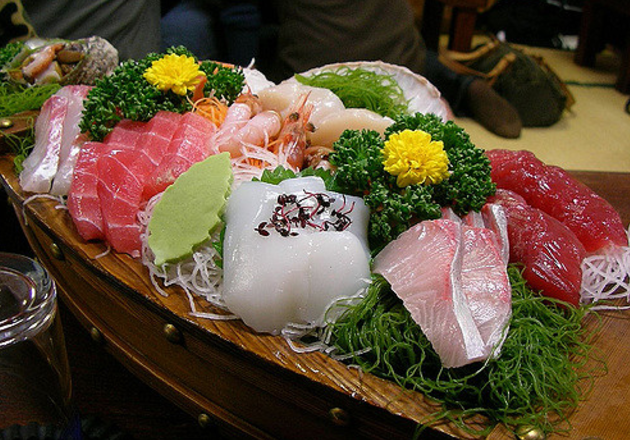 Some of the more expensive cruises feature sashimi. Ideally, reservations should be made in advance; same day tickets may be available if you contact a company directly before noon. For Japanese speakers: Book a cruise directly with a yakatabune company. Amitatsu, in particular, has the largest boats in Japan. For non-Japanese speakers: Make a reservation through the Tokyo Yakatabune Association, which also functions as an intermediary for customers. Fill out the online form with details of your desired cruise date and party, and staff will take care of the rest. LOOKING FOR A HOME IN JAPAN? 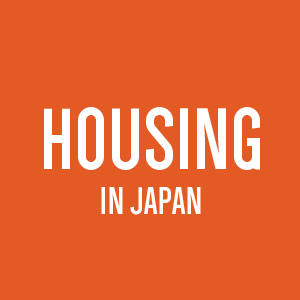 GaijinPot Apartments has a full listing of foreigner-friendly properties. Start your search to find your new home in Japan. Join us on a visual trip to white sandy beaches, massive waterfalls and the geekiest cafe in Western Tokyo. Don't forget those indoor shoes! 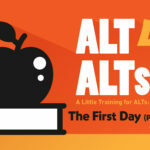 An ALT's first steps into their new school are some of the most important. Here's how to make a great first impression.